The sky was clear of clouds and the temperatures have come down in the night. 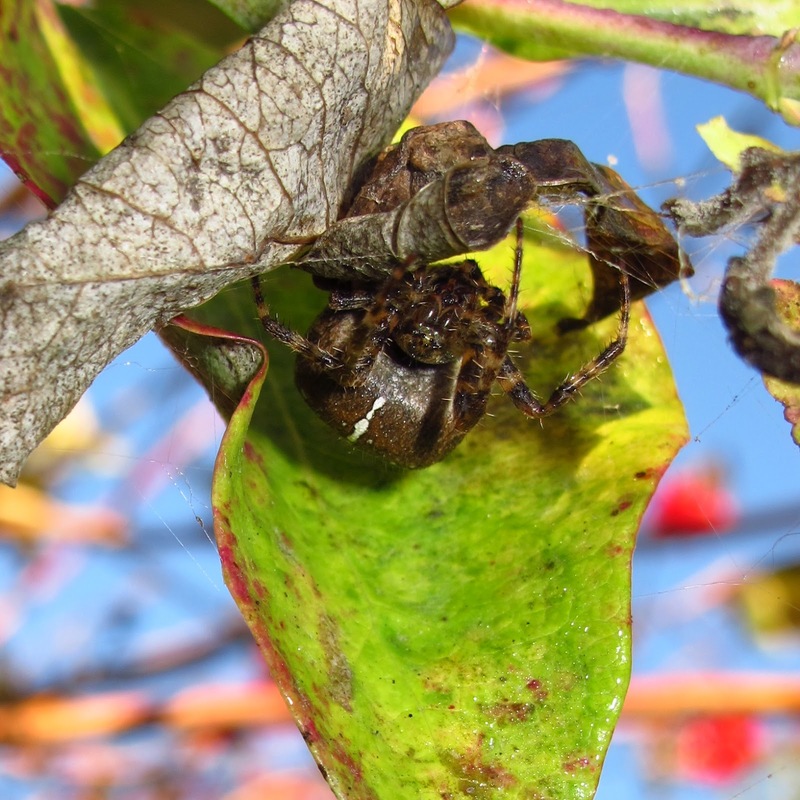 A dew covers everything in the garden, including a female garden spider, Araneus diadematus, with a large, distended abdomen, nearly ready to lay eggs. She is hiding under her dry leaf retreat on the honeysuckle, and using her rear legs to collect the dropplets of dew on her abdomen. She repeatedly makes a brushing motion and then licks the tip of her leg.